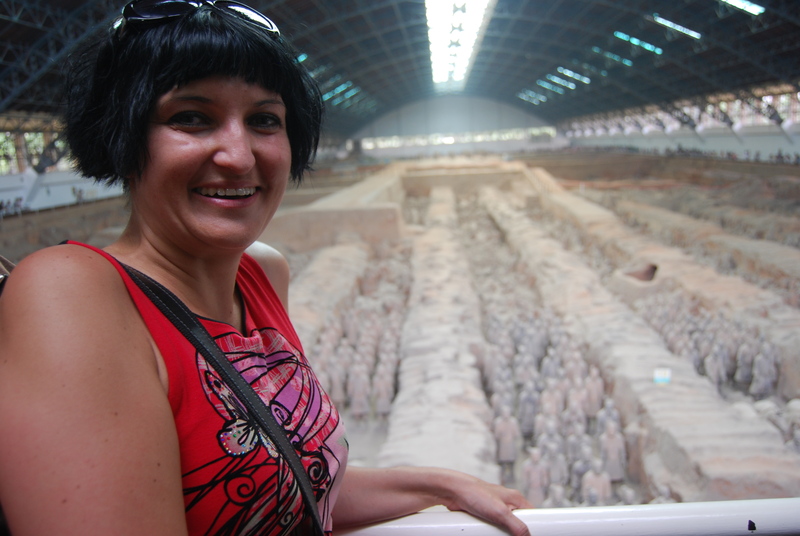 Xian Terracotta Warriors, the Most Significant Archeological Excavation of the 20th Century. A rank of soldiers. One of the soldiers on the left is missing his head, a result of the statues being made in pieces and then assembled. The Terracotta Army or the “Terra Cotta Warriors and Horses”, is a collection of terracotta sculptures depicting the armies of Qin Shi Huang, the first Emperor of China. It is a form of funerary art buried with the emperor in 210–209 BC and whose purpose was to protect the emperor in his afterlife. 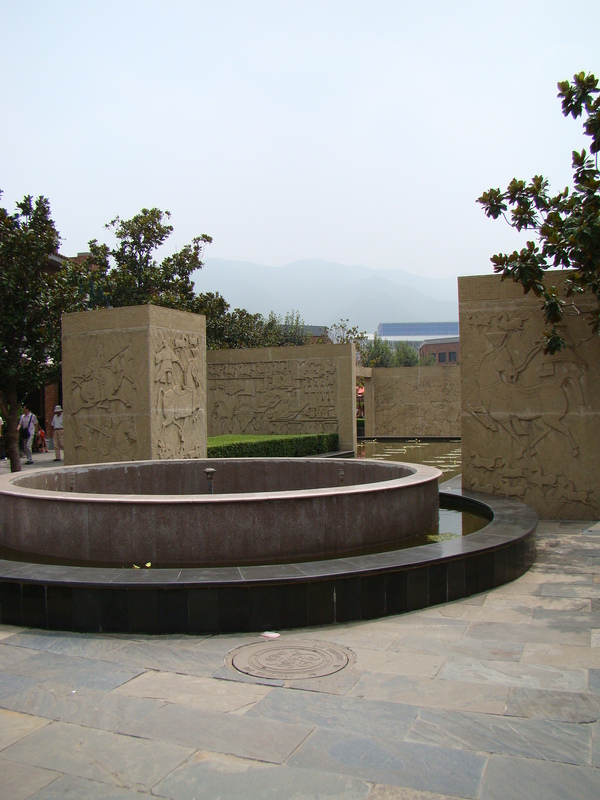 The Terra Cotta Warriors and Horses are the most significant archeological excavation of the 20th century. The figures, dating from around the late third century BC, were discovered in 1974 by a local farmer, 83 year old Mr Yong while digging a well on his farm. Seeing this Terracotta Army was very high on my wish-list and I was super excited at the prospect of actually getting to stand next to them! It was a blistering hot and humid day and sweat was dripping down my back before we reached the halls housing the Terracotta Warriors. Inside the hall is was a bit cooler than outside but it was packed with people so still felt a bit stifling. View of the Terracotta Army. Setting eyes on this magnificent army took my breath away! It’s shocking to think that all of this was built with the express purpose of being buried with the king when he died. It was amazing seeing the rows and rows of warriors lined up in that huge hall, knowing that we are actually only seeing a fraction of the whole army. 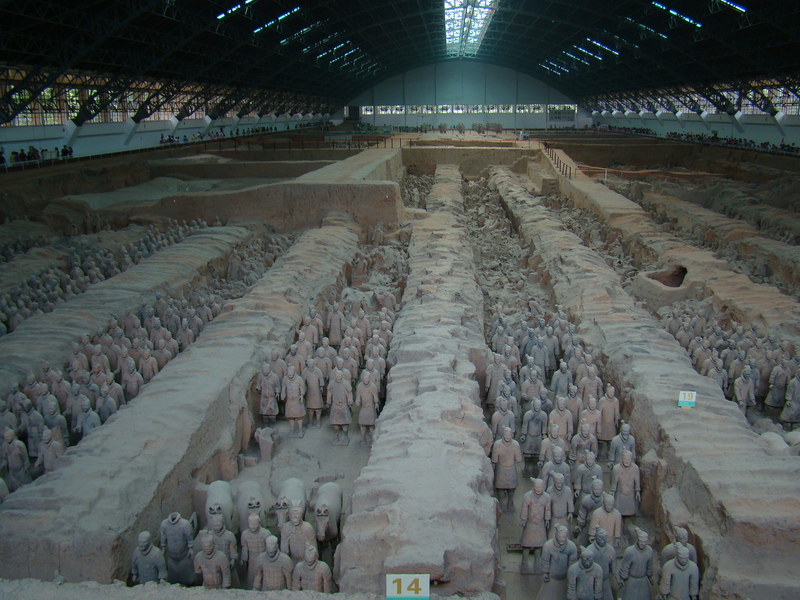 View of Pit 1, the largest excavation pit of the Terracotta Army. The figures vary in height according to their roles, with the tallest being the generals. The figures include warriors, chariots and horses. 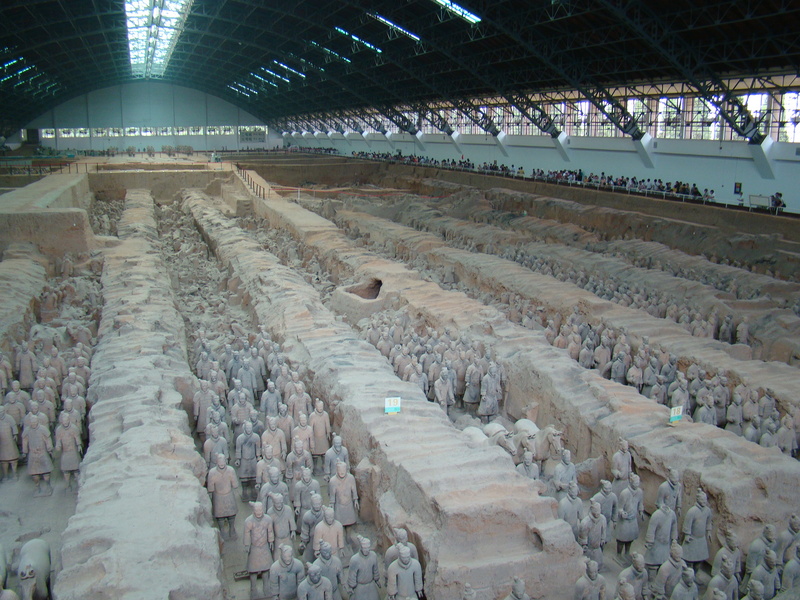 Current estimates are that in the three pits containing the Terracotta Army there were over 8,000 soldiers, 130 chariots with 520 horses and 150 cavalry horses, the majority of which are still buried. Other terracotta non-military figures were also found in other pits and they include officials, acrobats, strongmen and musicians. 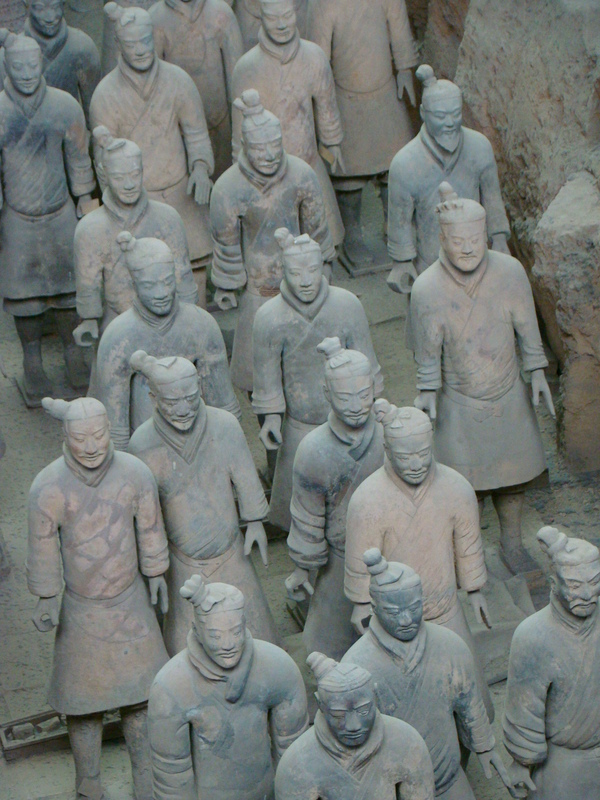 There are four main pits associated with the terracotta army. These pits are located about 1.5 km east of the burial mound and are about 7 meters deep. 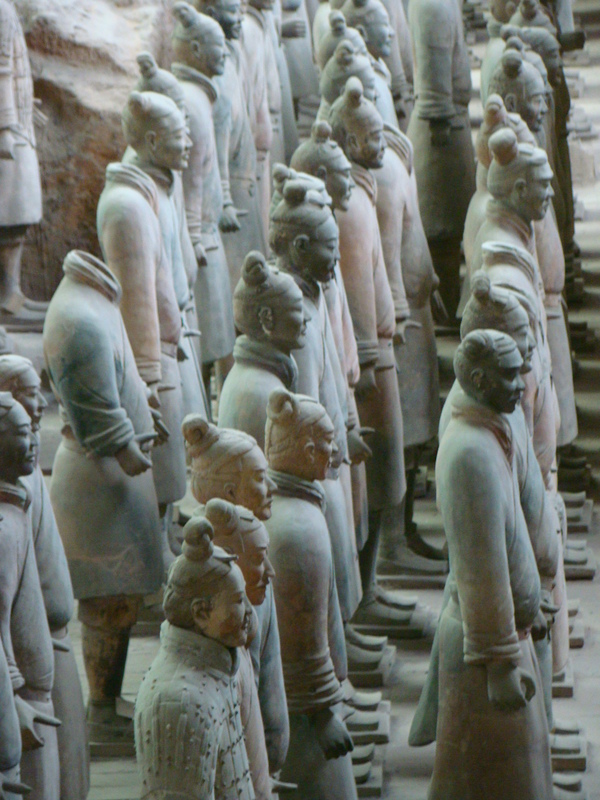 The army is placed as if to protect the tomb from the east, where all the Qin Emperor’s conquered states lay. 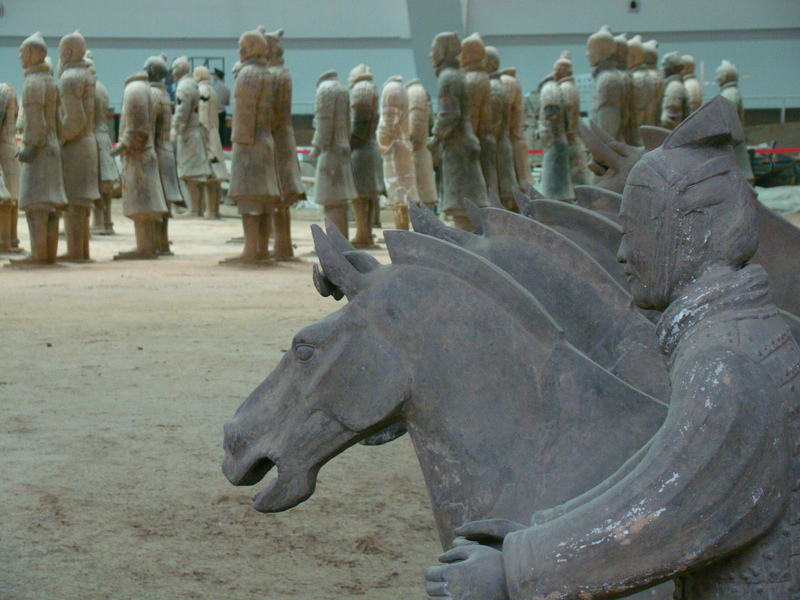 In one pit, long columns of warriors, reassembled from broken pieces, stand in formation. With their topknots or caps, their tunics or armored vests, their goatees or close-cropped beards, the soldiers exhibit an astonishing individuality. A second pit inside the museum demonstrates how they appeared when they were found: some stand upright, buried to their shoulders in soil, while others lie toppled on their backs, alongside fallen and cracked clay horses. The site ranks with the Great Wall and Beijing’s Forbidden City as one of the premier tourist attractions within China. A cavalryman and his mount. Many of the figures originally held real weapons of the time, such as bronze swords, longbows, arrows, spears, dagger-axes, and other long-shafted weapons. The weapons were treated to make them resistant to rust and corrosion, so that even after being buried for over 2,000 years they were still sharp. Note how the faces of these soldiers differ from each other. Each statue was constructed to be unique. Inside the Terracotta museum we got to watch a movie about how and why they were created. 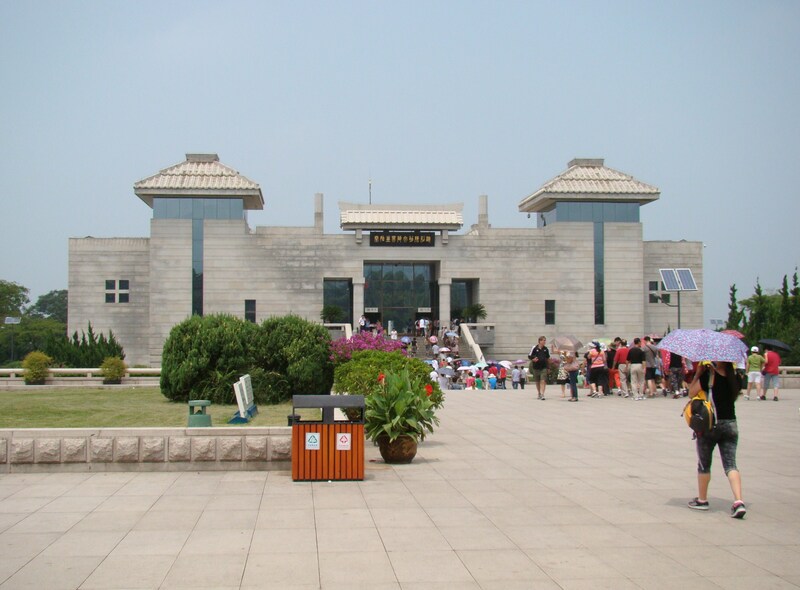 According to historians work on this mausoleum began in 246 BC soon after Emperor Qin ascended the throne (then aged 13), and the full construction later involved 700,000 workers. It took 11 years to finish. It is speculated that many buried treasures and sacrificial objects had accompanied the emperor in his after life. Most of the workmen died from exhaustion or were killed for secrecy reason after finishing their work. 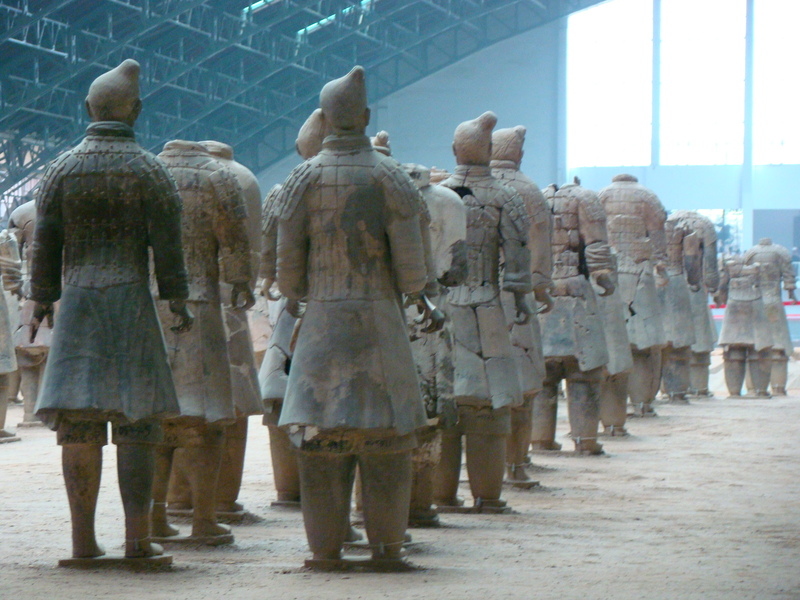 For archaeologists, one indicator that Qin rule had collapsed suddenly was the extensive damage to the terra cotta army. As order broke down, marauding forces raided the pits where clay soldiers stood guard and plundered their real weapons. Raging fires, possibly set deliberately, followed the ransacking, weakening support pillars for wooden ceilings, which crashed down and smashed the figures. Some 2,000 years later, archaeologists discovered charring on the walls of one pit. Mr Yong was at the museum so we all bought a Terracotta Army guide book which he then signed. Getting our photo taken among the warriors!! Getting up close to a life size replica! We were told the following little anecdote by our tour guide and I still smile when I imagine the situation. Mr Yong can’t really speak much English and had to meet President Clinton while he was touring China. They taught him a few English phrases he was sure to use: He was to9ld to introduce himself, say nice to meet you, how are you? And was assured that the President would reply good and you? To which he should reply: Me too. But unfortunately he mispronounced it a bit and ended up saying: Nice to meet you, who are you? To which Clinton answered: I’m Bill, Hilary’s husband and you? Mr Yong promptly answered: Me too!! Even though it’s a bit crowded and touristy now this was an amazing experience and a definite must see if you ever have the chance. 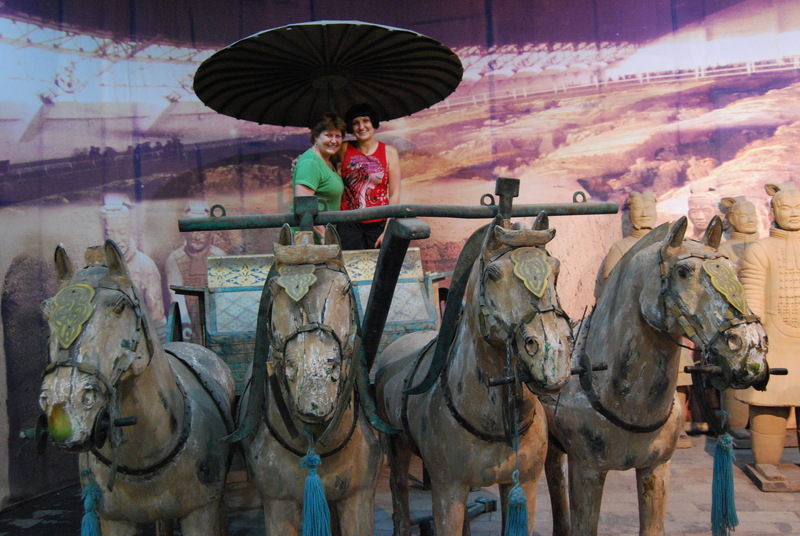 Me and mom on a Terracotta chariot!! 37 Responses to Xian Terracotta Warriors, the Most Significant Archeological Excavation of the 20th Century. I recently watched a documentary about these soldiers. Fascinating stuff. Love your entry and the great photos! Thanks! It was an amazing experience! this is just amazing! thanks for sharing! Thanks for visiting my journey!! Thanks for sharing your trip! I also saw the exhibit in Toronto, which was good, but NOTHING like the real thing! I would love to see them. Thanks Terri! Yes, it is amazing and definitely a breathtaking experience seeing this huge army lined up in these pits. 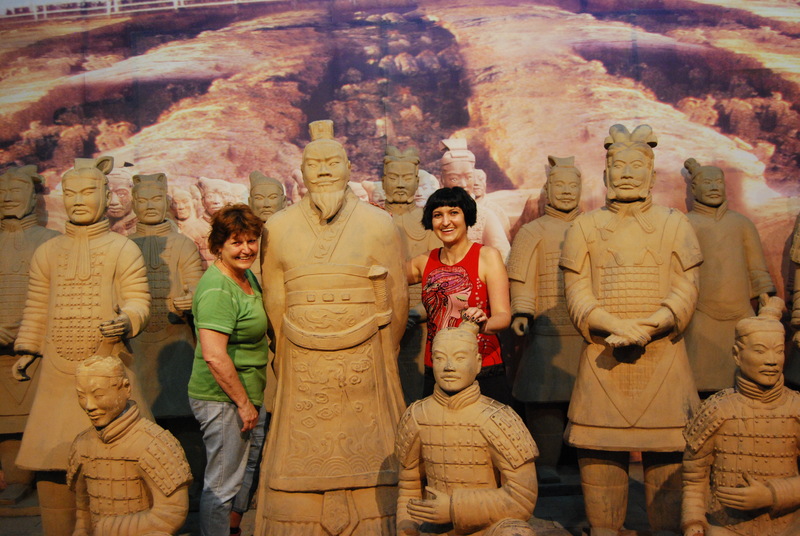 Thanks, we had such a fabulous time together and getting to see the Terracotta army together was an amazing experience. how very extraordinary … brilliant photos, you really give the feeling of being there and enjoying the experience! Thank you!! It was such an amazing expereince for us and I am glad that I am able to share it. I think China has such a rich and colourful history, I would love to read up on it a bit more before I visit again. I’ve never been. I’d like to learn more about China too! It was massive, to say the least… Great photos! Thanks Amy! Yes, as you know it is huge and quite hard to capture this vast army on film. 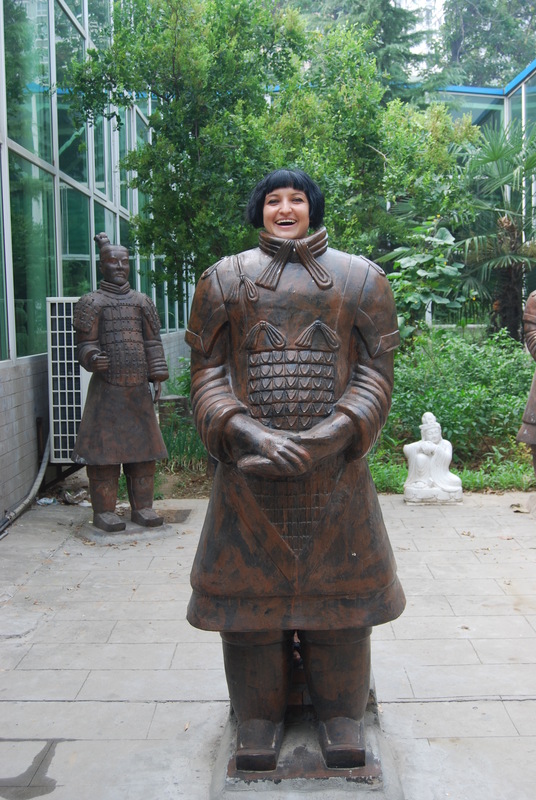 You’ve got some amazing pictures of the terracotta army. Thanks Chrisstov. They are so amazing that I think it is quite difficult to take a “bad” picture of these warriors. Thanks Coco Di! I think learning about his rule and the great history of China must be very interesting. I especially love the close ups of the statues. What a great place to visit! Thanks AJ! It was such a great place that I ended up taking way too many photos!! Amazing! I would love to see these! Great pictures! Thanks Sue! 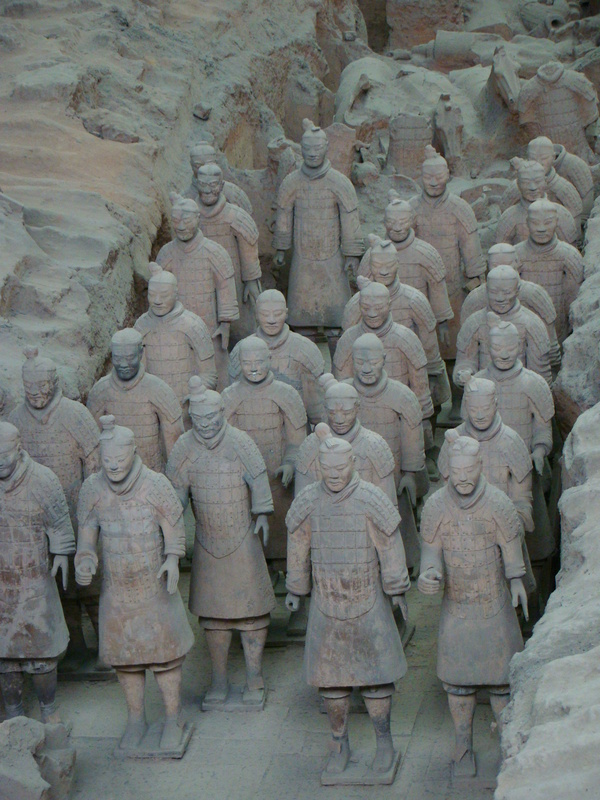 It was an amazing expereinece getting to see this magnificent army immortalized in terracotta. Awesome! I’ve always wanted to see the soldiers ever since I learned about them in high school! Saw a few of them when they came to London and later Washington…but, that looks amazing! One day, I’ll go. Seeing them all lined up in this huge hall is definitely an amazing experience!! I do hope you get the chance to go and see them! Wow! We saw the exhibition when it came to the Rom here in Toronto and we were impressed. Nothing like what you saw, however. You have shown us how vast it really was. They are amazing! Glad you got to see some of them Colline. Thank you! it is definitely a breathtaking sight weeing it in person. Amazing! I saw a sampling of the Terracotta Warriors during a traveling exhibition in London at the British Museum, but it would so cool to see them in person in their original setting! Seeing them all lined up in this huge hall is definitely an amazing experience!! If you ever get the chance you shouold definitely go and see them! Thanks Megan. We were told that the faces were actually the faces of his real army, so each warrior actually existed in real life before being immortalized in terracotta!